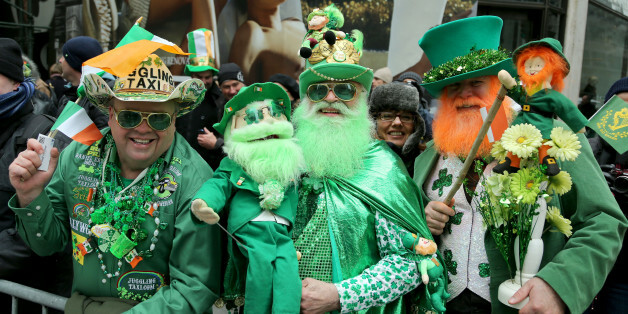 Where do we stand with St. Paddy’s now? Do the kids celebrate it? Is it just an excuse to post memes about Ireland? Is everything a meme? At the range the other day some dude explained to me between shots that I’m essentially a meme. I told him “No, sir, I’m a caddie,” to which he responded that “caddie” is a meme. But this same person couldn’t drive a ball out of a wet paper bag and was wearing Google glasses on his face, so I couldn’t take him very seriously. 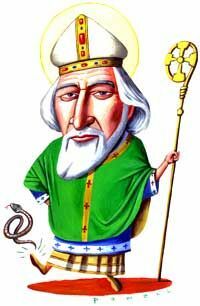 Well today I’m writing to remind you that St. Patrick’s Day isn’t any good. 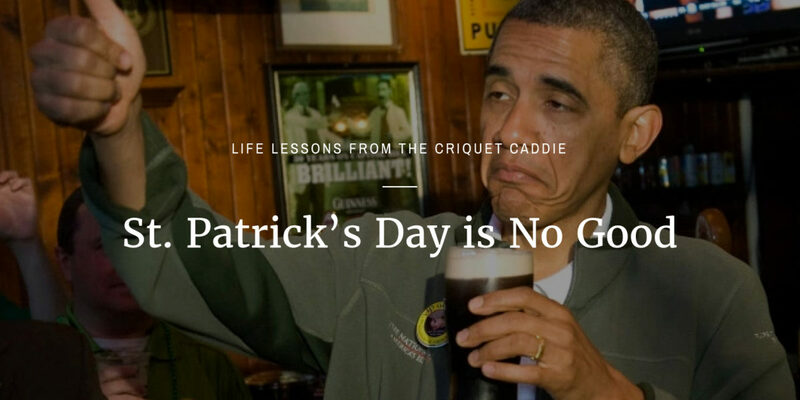 You can’t call St. Patrick’s Day a good holiday. No, it’s PERFECT. Ha! Got ya. Yea, that’s right Buster, I’ll go there and say that St. Paddy’s is the best holiday because it celebrates my favorite things: dark booze, island nations, the color green, and 4th century saints. I remember my best St. Patrick’s Day. 2007. A full round at Harbor Town on Hilton Head that morning. A bus ride to Savannah. The green fountains. Green beads in the Spanish Moss. Joy in the air. Spilled beer flowing between the cobblestones. Mr. Policeman pointing at me and saying, “hey that’s illegal in this state.” I couldn’t look at the color green for a week and had to wear tinted glasses on the course. Regrettably, though, St. Patricks Day can get out of hand with the excess boozing. And as I do for all excess, corruption and evil in this world, I blame the advertisers and the big cites. I curse them with my whole country heart as I pack a lip of SKOAL Long Cut Winter Green and dream of one day being in the movies. But getting to the point, it’s time to save the integrity of the greatest of holidays. 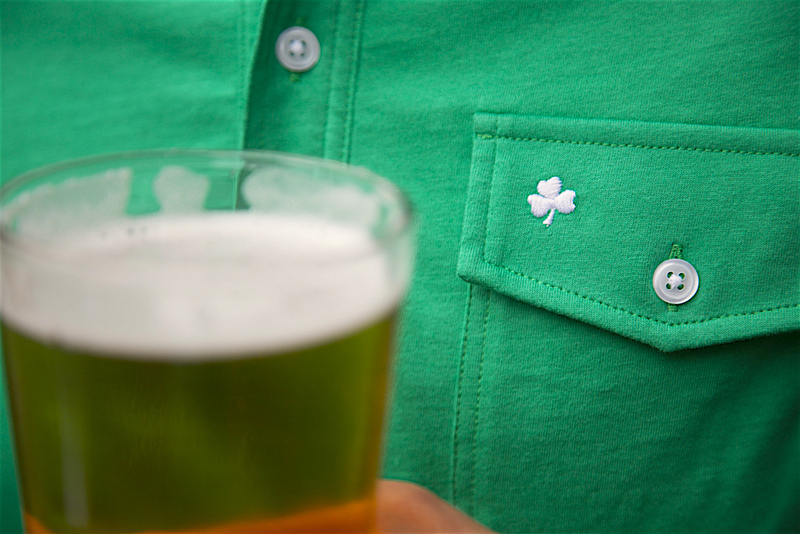 The two beer rule does not apply to anyone wearing our Shamrock Players Shirt pictured here. So how do you rescue a holiday when it becomes too liquid heavy? Do you drink less, cut things down with a two beer rule, so to speak? Absolutely not, try again. You eat more! Although we know the Irish for their morbid charm and high tolerance, their poets and their porters, we often forget about their achievements in foodstuff. Case in point: meat pie. What a concept! The rural man’s delight. Not only is it genius in its simplicity (minced meat, mashed potatoes, and gravy), the Shepard’s Pie is the ideal friend for your Guinness and Jameson. That sludge of meat and potatoes will buffer your stomach like some rich pillowy mortar and soak up all the porter and whisky that comes its way. These guys have never met a meat pie they didn’t like. So this holiday, be the meat pie guy. Impress your neighbors and friends. Suggest a meat pie competition. Write an original song about meat pie. They might laugh at first, but I guarantee that you’ll be the last one standing on the night of the 17th. And if you’re not, at least you’ll be looking pretty dang smart with a Shamrock Players Shirt on your back and a nice meat pie in your belly.